We find luxury accommodation solutions that perfectly meet our clients’ needs and preferences: hotels, apartments and villas. 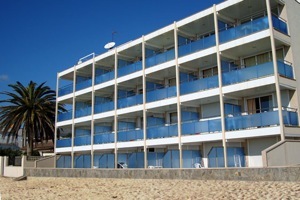 We manage your booking and take care of all kinds of issues arising during your staying. With our concierge service you can forget about all accommodation-related problems and just enjoy your time in the Catalan capital and surrounding regions, while we are working for you. Our team will take care of every smallest detail. Should you need anything during your vacation or business trip, you won’t have to contact your hotel or rental agency staff. For all kinds of issues you will only have to call one phone number – your Kakdoma Barcelona concierge’s speaking your native language and ready to help you wherever you are. 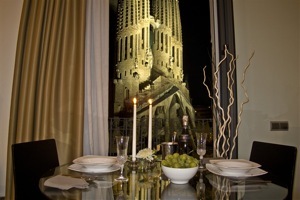 We can call a doctor or a taxi, order food, drinks or flowers straight to your room, draw up an entertainment program based on your interests and preferences and give a professional and timely advice on anything related to your staying in Barcelona. We collaborate with reliable partners who offer our customers a special treatment and an individual approach. Feel the difference with Kakdoma Barcelona. Feel at home. 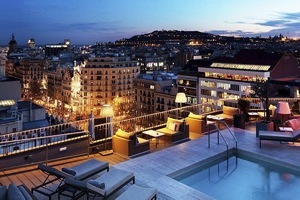 Where should I book luxury accommodation in Barcelona? Young and curious people will probably find it comfortable and interesting to live in historical and central districts of Barcelona like Gothic Quarter, Born or Raval. 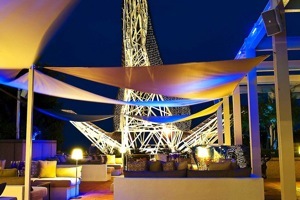 They will feel the air of dynamic and fascinating environment with a broad entertainment offer. For those who prefer to live in high-class apartments or hotels surrounded by shops, restaurants and bars, we recommend to choose the central commercial district called Eixample. Villa Olímpica and Poble Nou are the districts suitable for the family holidays and for those who prefer to enjoy the sea breeze, walk along the beach, play in the park with children or simply have the sea nearby. Our concierge service Kakdoma Barcelona will help you to apply for a summer camp in language or sports schools and to choose a villa or an appartment near the school. 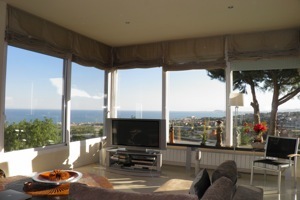 It is mainly high-quality property in the prestigious districts, such as Sarrià, Pedralbes, Sant Gervasi or in the surroundings of Barcelona, as Castelldefels or Gavà. 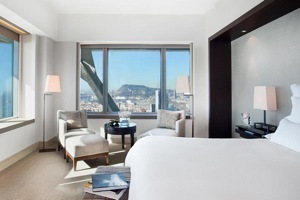 If you are staying in Barcelona on business, participate in an exhibition or plan some business meetings, it will probably be more suitable for you to stay in a comfortable business class hotel or apartment. 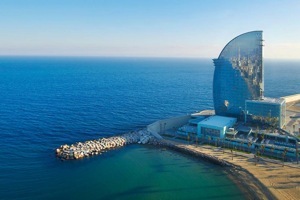 Consider the districts Les Corts, Sant Gervasi or Eixample, that have good connection with the Barcelona exhibition centre “Fira de Barcelona”, Congress Palace or with other districts of the city. 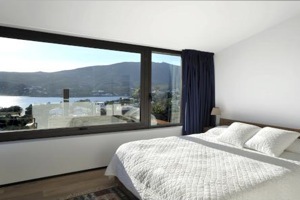 If you want to spend your holidays in a quiet place, next to the beach and far away from the city hustle, the best option for you would be to rent your luxury accommodation in Costa Maresme or Pyrenees. 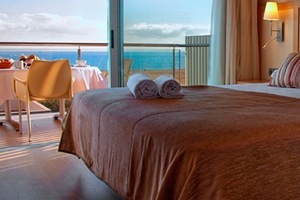 We will recommend you the best place to stay that will meet your needs. Our team can select staff for you and your villa. We will find a professional cook, organize catering, order food and drinks, find a responsible barman or waiter who speaks your language, housekeeper, nurse, personal driver, bodyguard, etc. 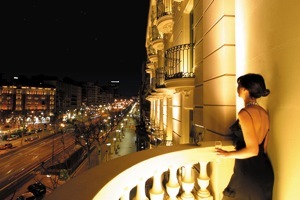 Kakdoma Barcelona will arrange everything, you only need to tell your wishes to your personal concierge. We are happy to welcome you in Barcelona and be with you as long as you need us. 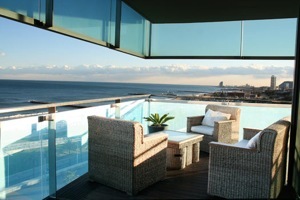 Contact us to get more information about rent of villas and apartments in Barcelona.